Top 3 Videos for Feb. 27, 2016! Black Mambas, Baby Shakes, Love Me Nots, The Soap (Japan)! Welcome back to the Top 3 Video countdown. 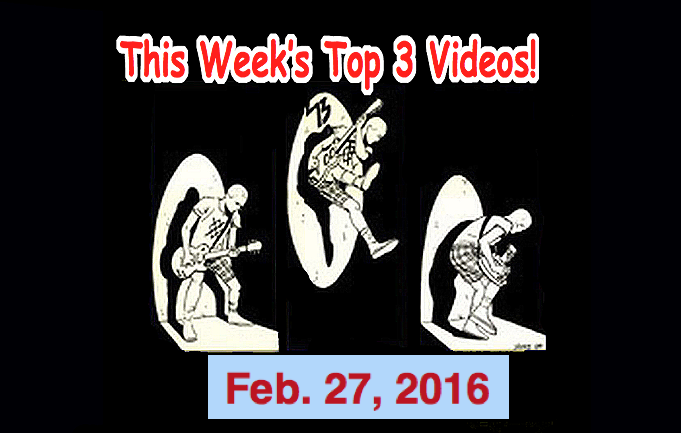 The Top 3 Indies Artists Videos for the week of Feb. 27, 2016! At #1 is a band fromPhoenix, Arizona, the Love Me Nots. I have been playing this band on my radio show for a few years now and I’m happy to be introducing them to you here. They describe themselves as “fuzz-and-farfisa, rocknroll!” This band rocks! I love it! Top 3 Videos for Feb. 20, 2016! Wavves, Baby Shakes, SWMRS, The Pats Pats! It’s time once again for the Top 3 Video countdown. The Top 3 Indies Artists Videos for the week of Feb. 21, 2016! I think you’ll really enjoy today’s countdown as the videos are all pretty cool or even hilarious! First up is SWMRS. SWMRS (pronounced as “Swimmers”) is a punk rock outfit from Oakland, California. They formed in 2004. They draw on a mix of influences ranging from the Beach Boys to the Ramones to create their own brand of rock and roll. This song is hilarious! I never thought that Miley Cyrus was punk rock, but, well, I guess she is. At #2 is Wavves, another band from California! This is their 3rd appearance on our countdown! The next band up is from New York and I think they are one of the most exciting new finds in sometime. Their name is “Baby Shakes” and they just finished touring Japan. I found out about them because my friends in Osaka said that they were Fab! I describe them as “the Ramones meet the Bangles.” This band is going to be huge! SPOTLIGHT ARTIST! Today’s Spotlight Artist was last week’s Spotlight Artist! Tokyo’s own girl group, The Pats Pats. I’ve been playing them quite heavily on the radio. Dig it! Cool and Strange Music Countdown – Feb. 13, 2015 – Mojo Nixon & Skid Roper, Hexstatic, Great David Bowie & John Lennon Imitator! 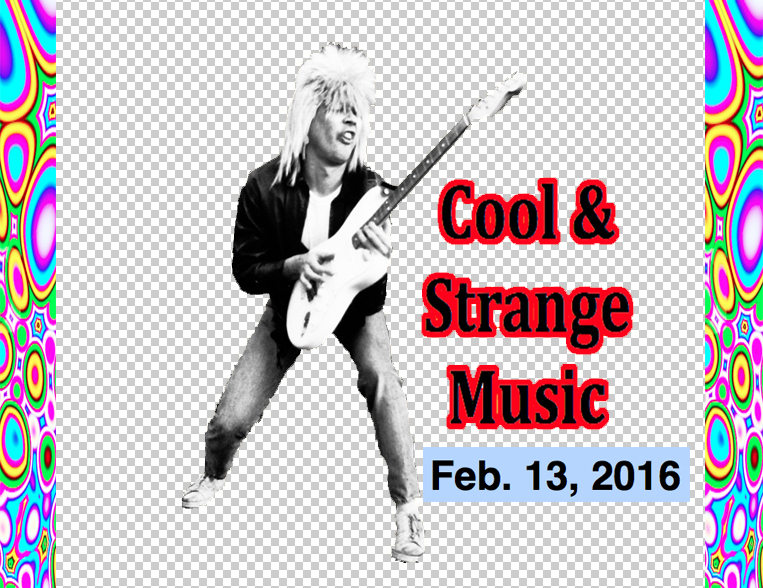 We’re back to Cool & Strange Music for Feb 13, 2016! And I’ve got some great weird stuff for you today! First up, an oldie from 1985. It’s Mojo Nixon and Skid Roper! The name of their debut album and their real names too! They are two rock/psychobilly musical artists and this hot track was released in 1985. Blogger RYP writes of this album, “It reveals this dynamic duo at their vibrant best, putting across an instrumental conceit that weds a kind of old-timey instrumentation with a whisky-soaked, poetry-slam mentality.”… Another fave track of mine on this twisted slab of vinyl is “Jesus at McDonald’s.” Look for it… Oh, and the album credits the boys with: Skid Roper: upright washboard and other stuff; Mojo Nixon: vocals, guitar and foot. At #2 is Hexstatic. Hexstatic is an English electronic music duo that formed in 1997. Hexstatic specializes in creating “quirky audio visual electro.” They have released two CD/DVDs so far. This stuff is VERY cool. Top 3 Videos for Feb. 7, 2016! Ming City Rockers, Los Tiki Phantoms, Hey! Hello!, The Pats Pats! It’s time once again for the Top 3 Video countdown. 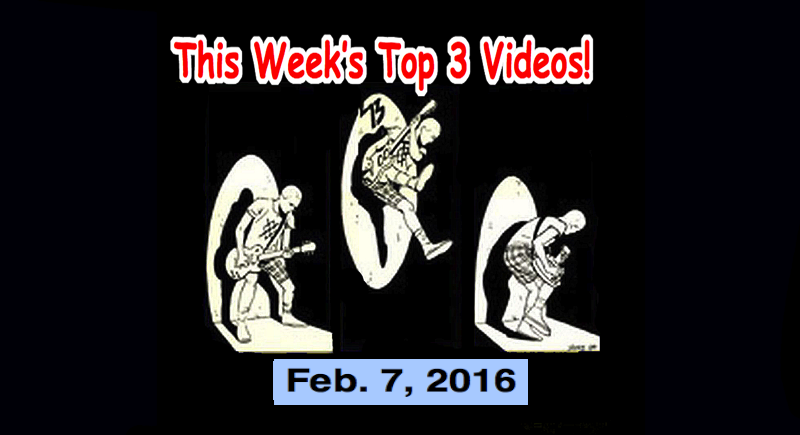 The Top 3 Indies Artists Videos for the week of Feb. 7, 2016! Next is a band from Catalan, Spain. The Los Tiki Phantoms is an instrumental band based on classic rock’n’roll, especially Surf Rock. They are characterized by appearing at concerts dressed in a classic black suit and skull masks. Should they be on the Cool & Strange Music Countdown instead? At #1 and just back from a triumphant tour of Japan is Hey! Hello! Hey! Hello! is an international power pop band, formed by the British singer-songwriter, Ginger Wildheart. As of 2015 the band consists of Ginger Wildheart, Hollis Mahady, The Rev, Toshi and Ai Sugiyama. The band’s name was chosen by the son of Ginger Wildheart, who had misheard the Ramones lyric “Hey Ho, Let’s Go.” This band is happening! SPOTLIGHT ARTIST! The Pats Pats! 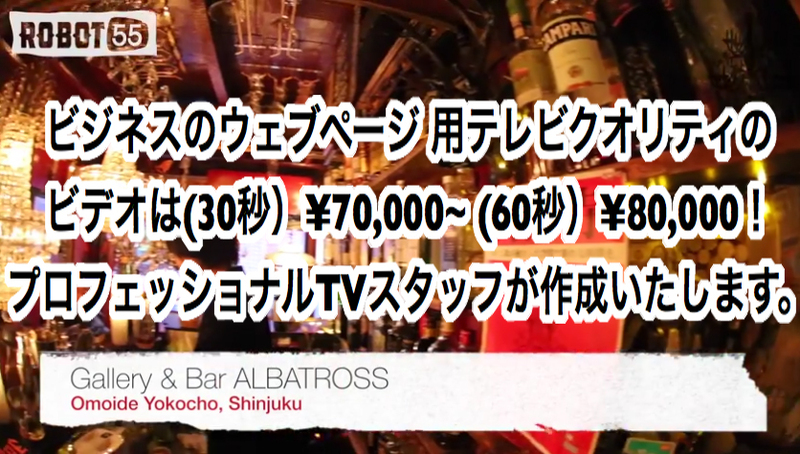 I try to introduce the world to cool Japanese bands every week on the Top 3 Video Countdown. Sometimes it’s tough. There’s tons of J-Pop bands (You know, think Japanese Justin Beiber, Bieber? How ever it is spelled, and they are corporate schlock.) But every once in a while something interesting comes up. Here’s a band I found by reading an article by a gentleman by the name of Rob Dyer. Rob writes an interesting blog called, “The Real Japan.” (http://www.therealjapan.com/) I highly recommend it and like it a lot! Rob introduces us to a girl’s band (“Girl’s band! ?” Say no more! Ha! Ha!) named “The Pats Pats”. He says that they, “…somehow improbably combine a love of Ramones-style punk-pop and eighties idol music.” Thanks Rob. Keep up the good work!